Just have a look around you and find out that everyone is worried about one thing or another. You may also have some tension in your life because of work, financial stress or any other reason. There are lots of thoughts around you, and these thoughts always chase you even on your bed. You are unable to enjoy a quality sleep because the planning of the next day is revolving around your mind. There are a number of misconceptions that surround the subject of mindfulness and mindfulness meditation. Mindfulness is the art of acceptance and non judgmental attention and focus on your emotions, thoughts and any sensations that occur in the present moment. Buddhism is a rich and profound understanding of the universe which is often taught incorrectly and misinterpreted, especially in the Western world when we try to fit it around our modern lives without understanding the important context and background of key Buddhist teachings. In order to improve the ways in which we interact with our thoughts, feelings and environment, we need to have an understanding of seeing auras, nurturing them, understanding them and, ultimately, the properties that each aura color contains. This book will provide you with some fundamentals for all these causes. Knowledge, they say, is power. It is the best foundation anyone can have in the ability to conquer their environment. 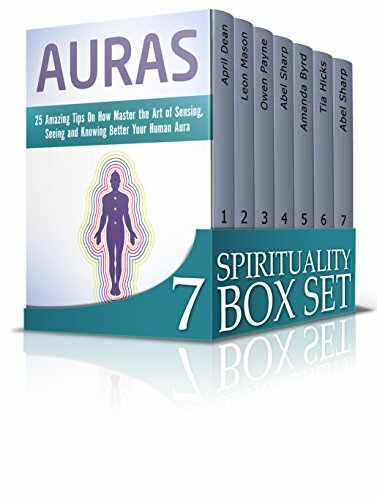 You probably might have heard about the word-Aura and wondered what it is all about or you have not heard at all. Are you a person who has some interest in magic? Have you heard or seen magic and wonder what the mystery is that surrounds this act? Have you wondered if all you see has magical intonations? Are you confused when you hear or see spells being used for various reasons or intentions? Do you have a craving to know more about this topic? This is the book you need. Here is a book that gives an in depth explanation just enough for you to understand what Wicca spells is all about. New to Buddhism? Or maybe you are curious to know what it is all about? Buddhism is a spiritual philosophy and practice which is thousands of years old; the aim of Buddhism is not to se a dogma that everybody must adhere to, but to answer deep questions about the meaning of life, how the universe work, what is our role in the cosmos and how we can reach a state of awakening and enlightenment that allows us to see through the veil of illusion that is given to us by our senses, just as the Buddha did. In fact, you too can be a buddha. Download your copy of “Spirituality Box Set” by scrolling up and clicking “Buy Now With 1-Click” button.